Renke Schmacker is currently a Ph.D. student at the DIW Berlin Graduate Center. He studied Economics, Business Psychology and Political Science in Berlin, Copenhagen and Lüneburg. In 2015 he obtained his Master's degree in Economics from Humboldt-Universität zu Berlin. 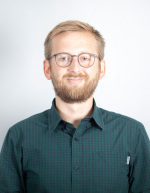 During his studies he worked as a student research assistant in the Market Behavior unit at the Berlin Social Science Center (WZB) and interned inter alia at the European Parliament. In his Master thesis he conducted a laboratory experiment that aimed to explore determinants and consequences of welfare stigma. His research interests center around Public and Behavioral Economics.